MBC's "PD Notebook" says it will lend eyes and ears to social wrongdoings and to voices of the poor and suffering people as an honest witness of our time. A local network TV's efforts to reveal "possible" ethical problems or even Prof. Hwang's tampering with research data now appear foiled as the MBC TV opted for public apology for their own breach in journalistic code of ethics in its pursuit for truth. Faced with mounting criticism or, some might say, a "ruthless" attack from "patriotic" South Korean netizens, MBC apologized Dec. 4, 2005 to the public for coercing one of the involved researchers to confess details about its investigation. The official apology was made amid increasing pressure and attack from the Big Three conservative dailies as well as nationalistic netizens (highly active internet citizens). As a result, advertisers have boycotted MBC's investigative news program "PD Notebook," and now the broadcaster itself. All but one out of a dozen sponsored ads were withdrawn as a sign of strong protest. It looks like MBC was attacked by conservative dailies and patriotic locals when the broadcaster tried to "attack" Prof. Hwang Woo-Suk of the Seoul National University, the world's pioneer in the stem cell research. When MBC's "PD Notebook," similar to "60 Minutes" of America's CBS, began its investigative piece into ethical questions raised by foreign media and journals including Science and Nature, it came under immediate cross-fire from the Big Three dailies and netizens desperate to "protect," South Korea's first would-be scientist to be applauded with Novel medical prize. Yet, MBC's scrutiny of possible data tampering and the ethics behind Prof. Hwang's stem cell research, should get credit when most of the nation's media went all out with nothing but praise for Hwang's achievement. 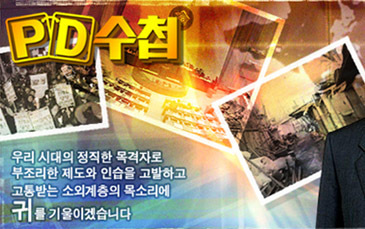 Media Today, a local journal dealing with issues with media and the media industry, praised MBC's efforts to reveal the truth or confirm Hwang's achievement. It said that the "PD Notebook" journalists' efforts were based on their firm belief and perseverance needed for investigative journalism. It pointed out that MBC was the only media outlet to attempt to fulfill its duty of investigative journalism in its quest for the truth. Actually, Prof. Hwang's outstanding achievements have never been checked or confirmed by any local media. But on the international stage Prof. Hwang's performances were questioned by the international media and scientific journals on the ethical issues in the research process. In particular, Prof. Hwang received a tremendous amount of funding from the South Korean government for his research which obviously comes out of the tax payer's pocket. Earlier this year the South Korean government announced it would contribute 24.5 billion won (nearly 23.7 million US dollars) to Prof. Hwang for his study and his research facilities. From this perspective, it is natural that media try to probe into the questions raised by the international media. There is a social need to check and confirm Hwang's research from the ethical aspect, Media Today argued. MBC's "PD Notebook" had long been studying the possibility that Prof. Hwang's achievements were exagerated. "Prof. Hwang's research should be probed when there are questions or doubts about the authenticity of his research performances," Media Today quoted an a MBC official as saying, "Truth is more important than national interests." What Makes Some Scientists Cheat?